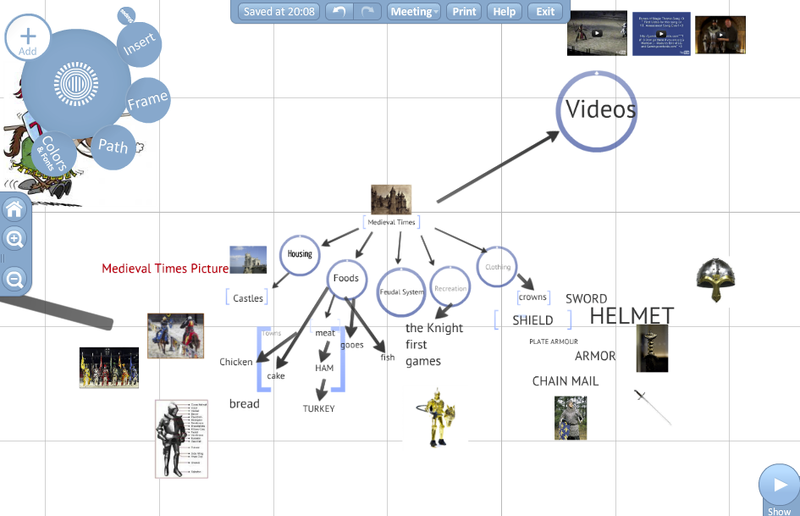 To the left is our collaborative Medieval Times Prezi. We have begun a new unit today about Medieval Times. As a class we started with the Medieval Times heading and the 5 sub headings: Housing, Foods, Feudal System, Recreation and Clothing. Prezi allows up to 10 simultaneous users that can edit a single workspace. Students added text, images and videos about Medieval Times to the 5 sub headings. Students are able to work on the Prezi through a sharing link that has been provided on our class Edmodo page. Student worked on this for 1 class period thus far. I am very excited to experience what students will add to the Prezi during the course of this unit. What a creative way to share your learning with others. I'm always learning from your class. Thanks for sharing!